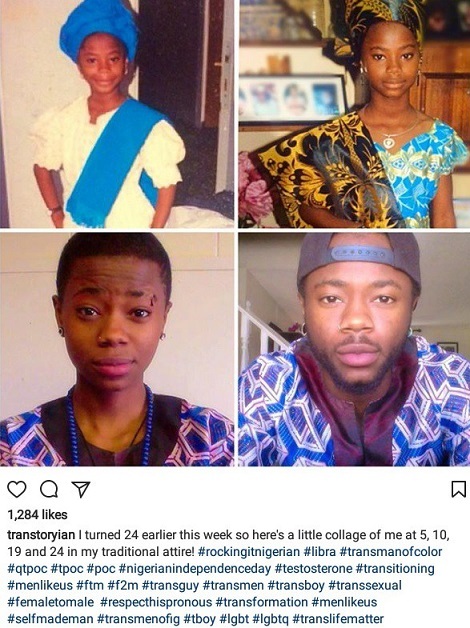 A Nigerian transgender, who transformed from a woman to man and turned 24 recently and took to Instagram to share photos of his transformation journey. ‘I turned 24 earlier this week so here’s a little collage of me at 5, 10, 19 and 24 in my traditional attire!’. Congratulations!